Damn beautiful thing in person. I thought they did a repop on those not too long ago. They could make a more affordable version in carbon from a mold. 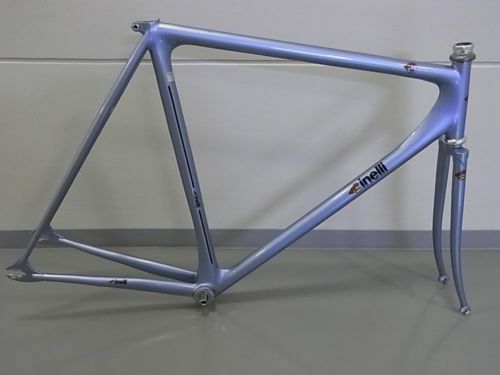 Oh wait it's cinelli so even if it was made in Chiwain it'd still be outrageous because it was designed in Italy. Sorry for that rant. Lol. Someone had a complete road version Laser on eBay for like 18k last week. I am guessing that you saw A. Danger, a well-known (in fixed gear circles) track bicycle enthusiast in the PNW.